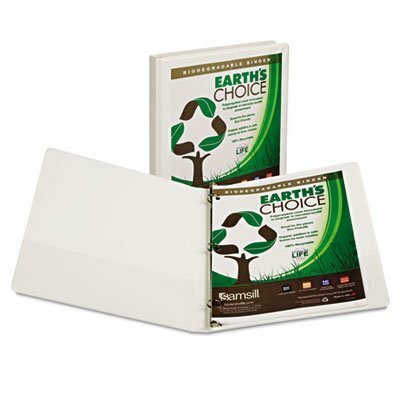 Earth's Choice view binder is PVC-free, acid-free and archival safe. Round ring is removable for easy recycling and mounted on the back lid to help pages lie flat and to reduce wear on paper. Clear overlay on front, back and spine allows easy customization. Two inside clear pockets offer extra storage for loose documents. A portion of proceeds from each binder purchased is donated to American Forests to help plant a minimum of 7,500 trees annually.